Round three. Elite Eight. This is the most important round, because it determined the champion of each individual region. The popular vote agreed with the Game Makers. The winner of the popular vote was residual renal function, a worthy competitor and I don’t think either of the Game Makers would have made trouble if the other had pushed hard for RRF. Second in the popular vote was Fistula First, a first round loser in NephMadness. Urgent PD the ultimate region winer limped to third place. 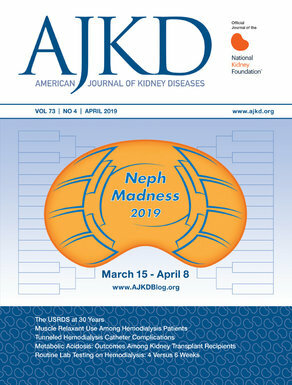 Bioartificial kidney soaked up all the glory in this bracket, while the winner, renal pericytes, came in a pathetic sixth out of eight. A balanced bracket with six of the entries soaking up at least 30 votes. The eventual winner, balanced solutions, beat only the two laggards, RIPC and KDOQI. A perfect match of crowd and Game Makers. The crowd loves Rituximab; Belatacept struggled to a third place behind Eculizumab.